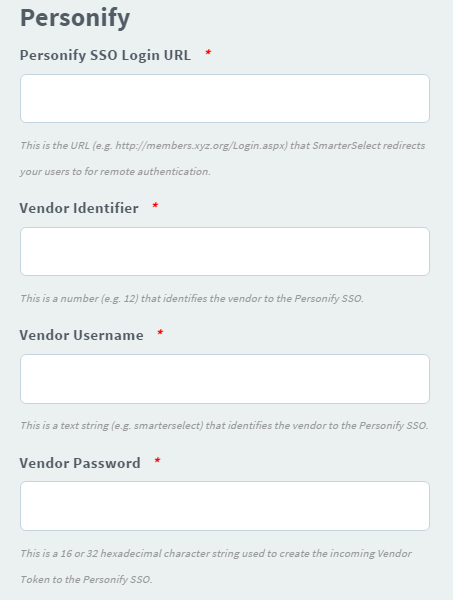 Single Sign-On (SSO) Integration Access Settings – How can we help you? 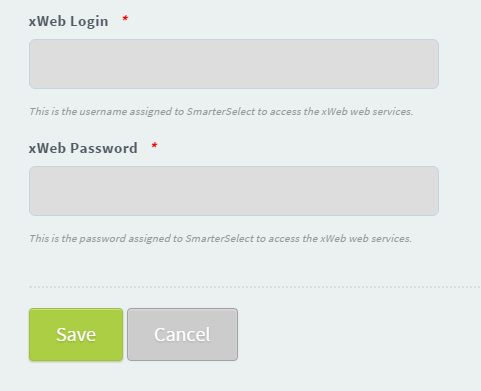 Single Sign-On (SSO) is available at the SmarterSelect Enterprise level. 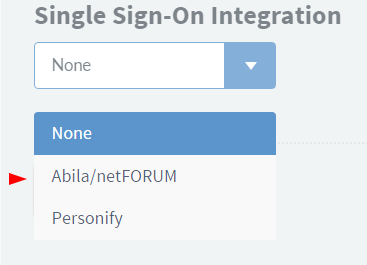 Customers using Abilia/netFORUM or Personify member management or association management systems will work with SmarterSelect to correctly answer Access Settings. From the menu at the top of the screen select "Settings" and then "Access." 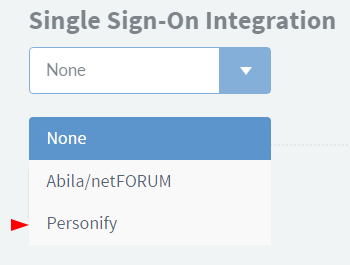 Move to the "Single Sign-On Integration" section. 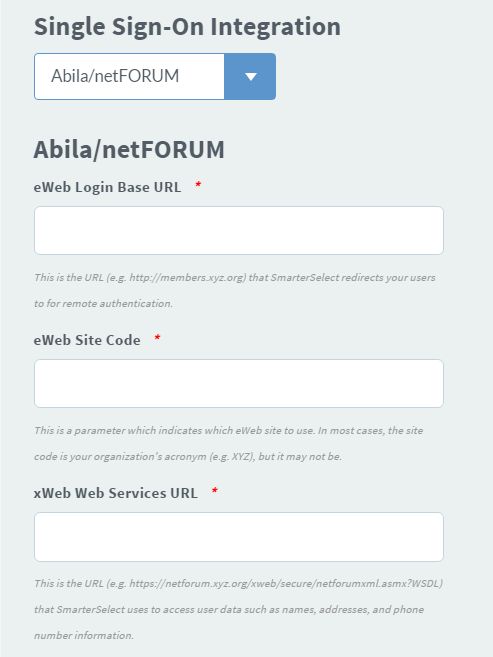 Click on "Abila/netFORUM" in the drop down menu. 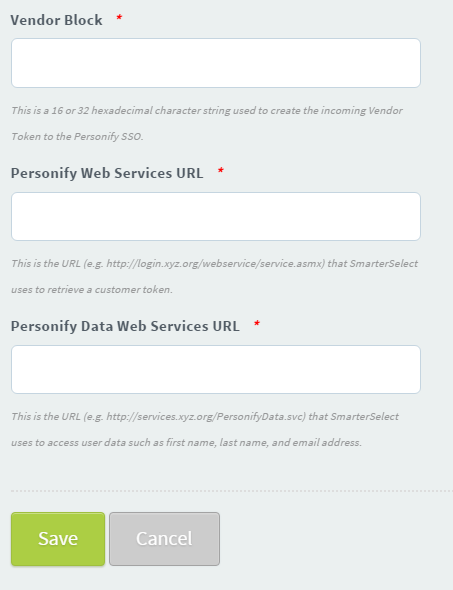 Click on "Personify" in the drop down menu.